It was somewhere in the late eighties - in the last years of communism - that I bought this little ashtray in a thrift shop in Prague. Just around the corner of the Zitná street where my grandmother lived. In those days I was collecting these kind of advertising ashtrays and this one caught my eye. It must have been some kind of premonition since I started Affaire d'Eau just a few years later in 1993. I have always considered this ashtray as some sort of starting point of my fascination with bathroom antiques. 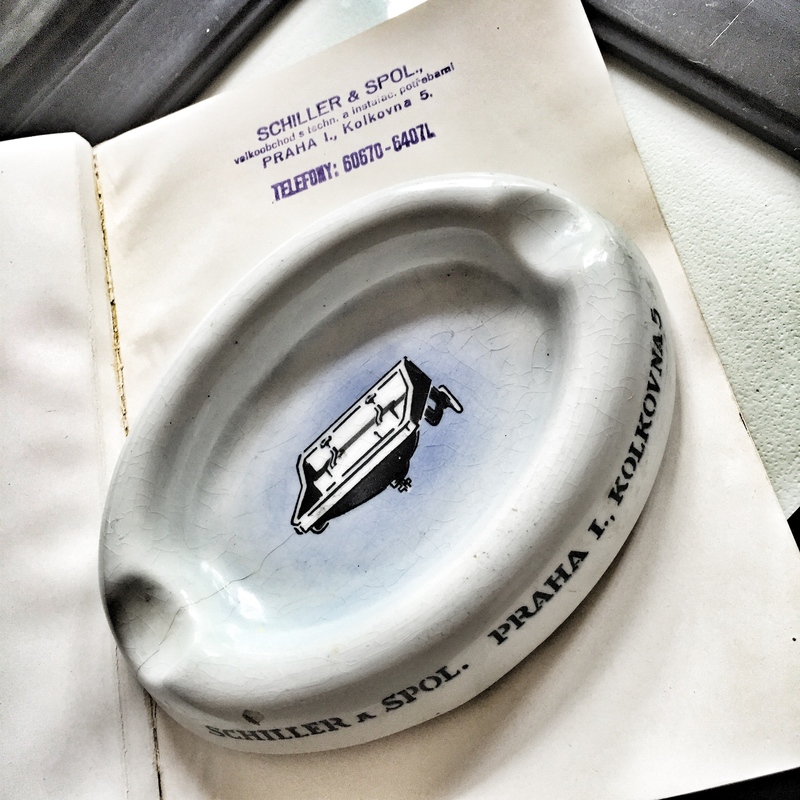 The little ashtray was probably a small gift to clients from the company Schiller & Co. This company was dealing in bathroom equipment in the Kolkovna street in the centre of old Prague in the years before the 2nd World War. 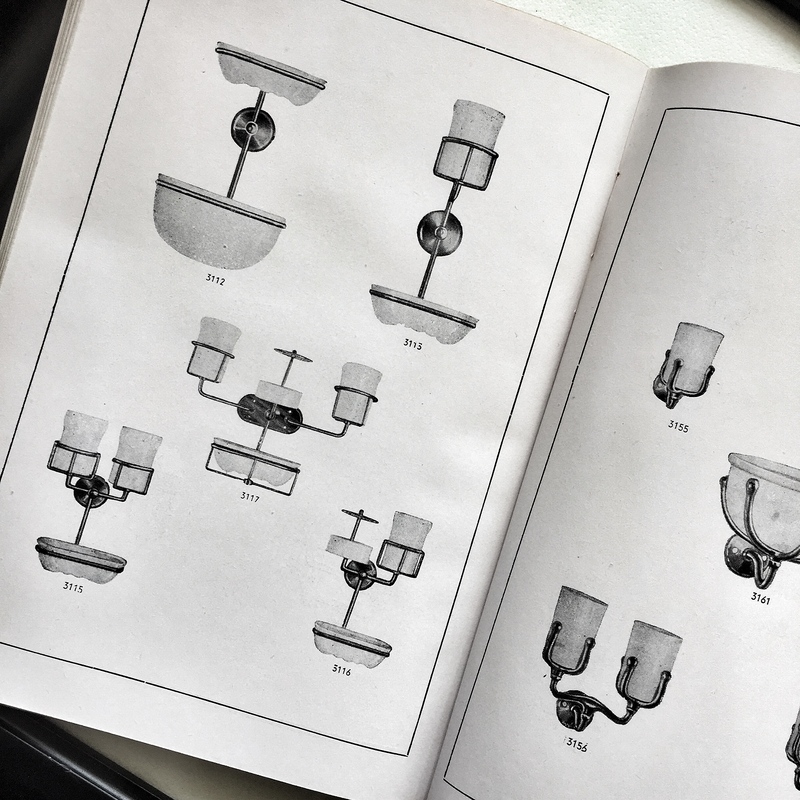 How strange it is, that I came across the original catalogue of this firm - dating from the year 1944 - just last week, almost 30 years later after I found that little ashtray in that thrift shop around the corner. On the ashtray one can see that Schiller & Co advertise for their collection of ceramic washbasins and bathtubs, a little sink in the style of the late twenties or early thirties is depicted in the centre of the tray. 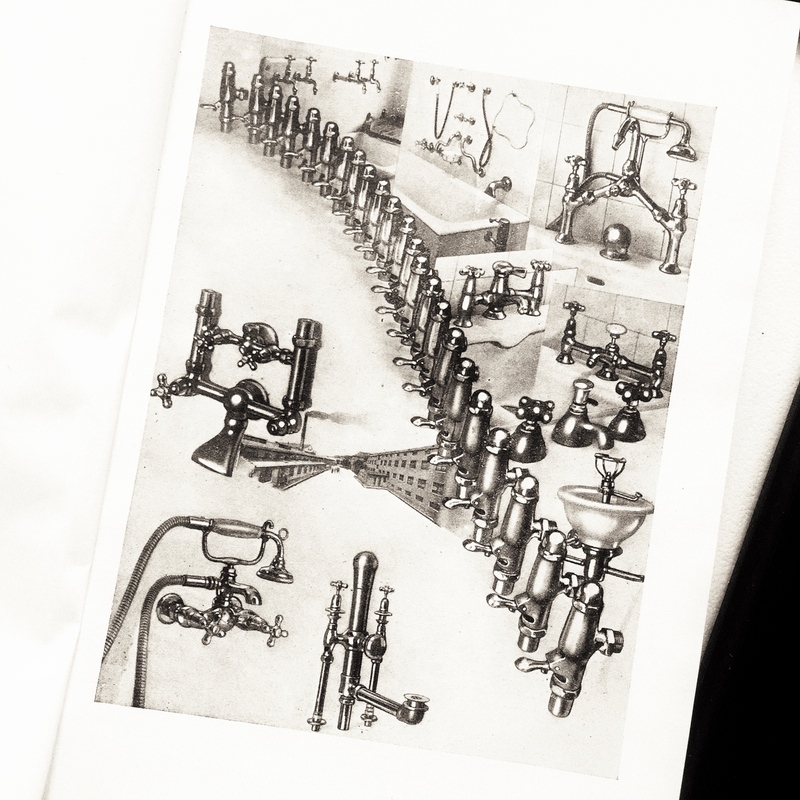 The catalogue focuses more on the very functionalistic and modern collection of faucets, mixers, shower combinations and bathroom accessories. 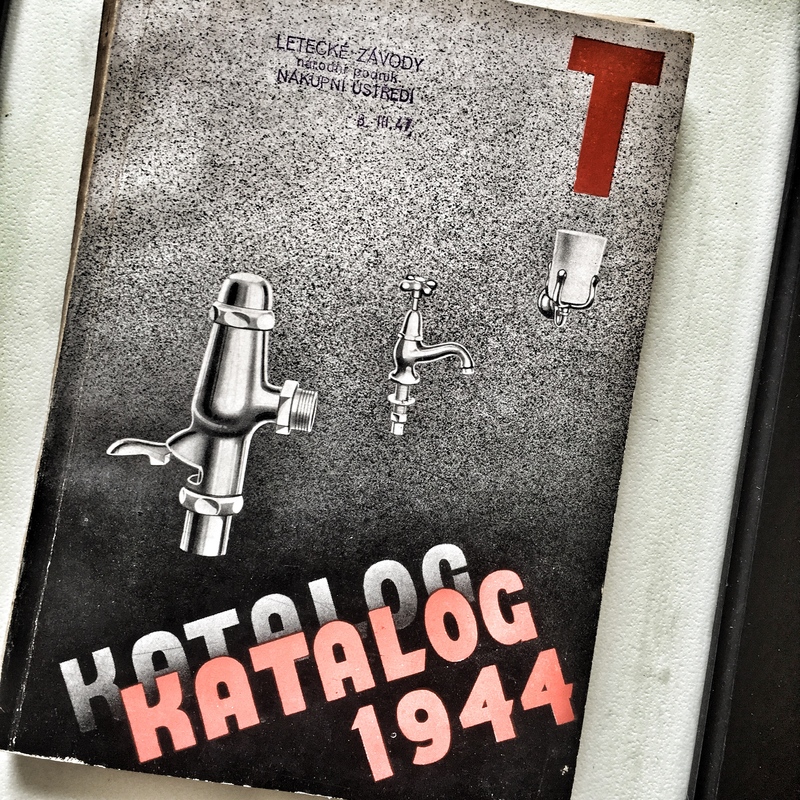 The catalogue seems almost unused, it is in rather mint condition which might have something to do with the year it was issued in, maybe 1944 wasn't a year where many Prague inhabitants were thinking of bathroom renovation. This latest addition to my collection of antique bathroom catalogues is an intriguing one from a historical point of vue. In the first place there's this name of the company, Schiller & Co. 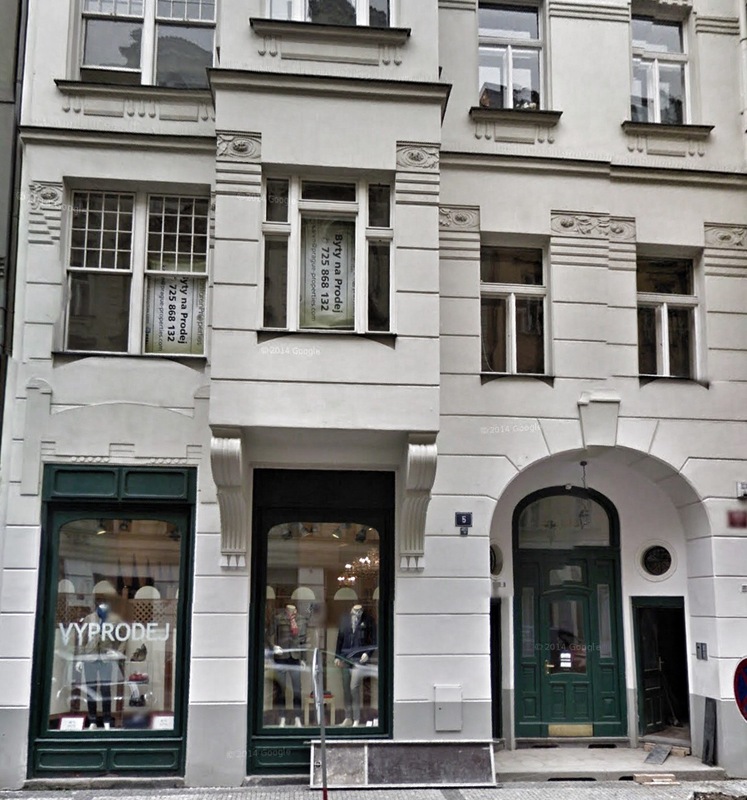 This company was located in the Kolkovna street, not far for the Prague Jewish quarter. The locations and the name suggest that this might have been a Jewish company. However, the name of the company in combination with the date 1944 might suggest something else. Either it could have been a Jewish company that had been taken over by the German occupators or it was a company owned by German Czechs that were able to continue business under the German occupation. Another, even more intriguing fact is the stamp on the front page of this catalogue. 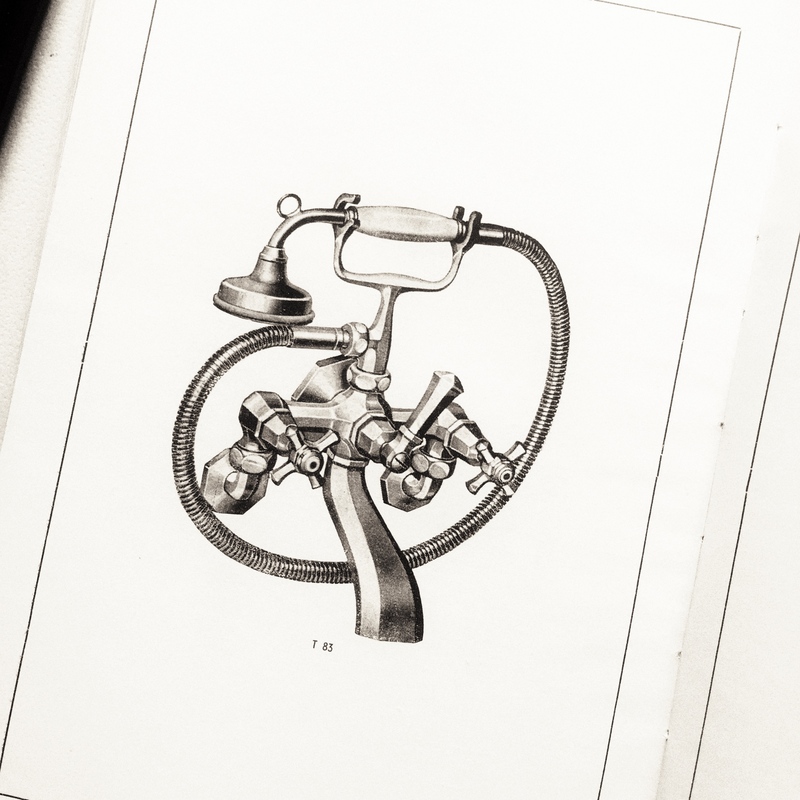 It shows that this catalogue was part of the library of the buying department of the National Aeronautical Company in 1947. It seems logical that the NAC worked with an old catalogue in these early post war years of reconstruction. One would not expect new catalogues with new collections or items to be issued so short after the war, when there was a lack of almost everything. This National Aeronautical Company was the product of the massive nationalizations of private held companies that started in 1945 after a presidential decree that gave in to Soviet pressure as well as to the force of the very strong communist party. At first it was suggested that only proprietors of German companies and companies that had been collaborating with the Nazis were to be disowned but soon almost all private held companies had to hand over their business to the state. Although there were rules and regulations about compensations to previous owners, the practice was that little to nothing was compensated. Between the years 1945 and 1950 a substantial part of the Czech middle class was robbed of their life work and possessions and all entrepreneurship was destroyed. One might wonder about the post war fate of the company Schiller & Co. Was it still existing in 1947 as a private held company and was it supplying bathroom equipment to the state owned National Aeronautical Company? If so, than it must have been a genuine Czech company that had not been collaborating with the Nazis during the war in any way because in that case it would have been nationalized directly in the first round of nationalizations after the decree.